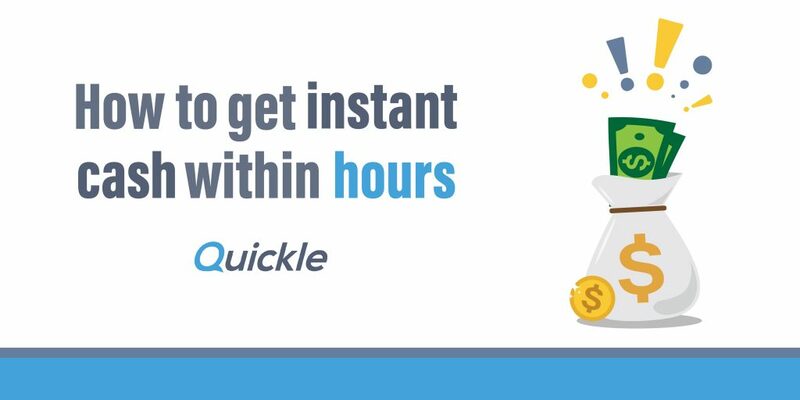 How to Get Instant Cash Within a Day? Are you needing fast financial support from lenders? Learn how to get instant access to funds today. We have all confronted unexpected costs or budget that couldn’t be stretched anymore at one time or another. While conventional lenders probably won’t loan you if your credit record is not exactly flawless or you’ve maximised your present credit, there are other options for you. Instant loans may facilitate the budgetary weight you may be facing with reimbursement term that is structured to your situation. Despite the fact that the interest and fees are higher than banks and traditional lenders, they can still help you with the cash you need. Considering an instant loan application? Look at a wide range of instant loans on the web. Make sure to look at the fees and charges, interest rate, length of term, reimbursement plan, turnaround time, and any late fees that this particular loan encapsulates. Check if you meet the requirements set by the lender and then gather the documents. It’s better if you have all the required data ahead of time. You will have to establish your identity, your salary, your location, and your assets among other things. Subsequent to document preparation and comparison of options, you can do the application online. Lenders use a secured system in order to safeguard your personal information. Keep in mind that you should be 100% honest on your loan application as it will be a legal contract. How do instant loans differ from other credits? An instant loan works like a cash advance or a payday loan. You will apply for a specific amount that you need, submit the requirements and documentation including the most recent 3-month bank statement. The loan specialist will assess your application depending on the data you supply, then give a verdict. These instant loans can be utilized for a period of less than a year. When your application is approved, the loan is typically credited to your bank account and the term is set to your repayment capacity. Instant loan lenders can do the whole application process within a short turnaround time. There are lenders who also assess borrowers with bad credits and give them a chance despite imperfect credit report. Other lenders also offer funds to individuals who get Centrelink benefits. What to research on in comparing loans? A complete list of costs — The Australian government monitors the fees and charges on short-term credits. If you loan under $2,000, you can’t be charged over 24% (20% establishment fee and 4% monthly fee). Anything more than $2,000 can charge up to 48%. Qualifications — To be approved, some lenders required a certain credit score, while others offer bad credit loans. For this type of loan, lenders tend to be flexible. As an example, some may loan to those who are bankrupt at present, though others won’t. Every application for credit is recorded on your credit file and multiple applications in a brief timeframe could be a hindrance to any future loans. Ensure that you meet the qualifications prior to the application. Turnaround time — These loan applications are accessible online because of technology. Borrowers can use this technology with their laptops and smartphones to accelerate the process. Some online financial institutions will send your funds within a couple of hours while others may take 2 or 3 business days. What amount can I “instant” loan? Instant loans differ based on the lender you apply with, the income you earn, and what’s in your credit record. Expect a limited loan amount if you are a first-time borrower. Most credits being offered are somewhere in the range of $100 and $2,000, others may reach up to $5,000. Quickle instant loans range from $300 – $2,000 with associated fees and repayments made clear. A higher cost than traditional loans is what’s noticeable with instant loans. Examine the fees and rates you will be charged and ensure you will be able to manage it. A few lenders may allow early loan settlement, which is incredible because this saves money on fees. It might be tempting to keep resorting to instant loans because funds are always handy, but don’t overdo it. Remember that instant loans should only be utilized in times of crisis.